I adored this book. 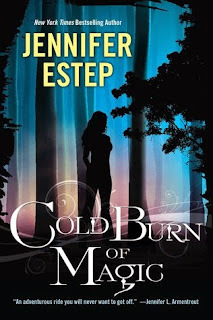 It's the first Urban Fantasy I've read in a super long time and Jennifer Estep did not disappoint. A Cold Burn of Magic is full of action and mystery and you just never know what will happen next. I loved the world building, although to me it was awfully similar to the world found in the Elemental Assassin books. I kept expecting Gin or Finn to pop out any minute! That was really the only flaw, if you could call it that in the whole book. I enjoyed that while Lila is stubborn, she slowly grows and can see reason-I hate it when characters are too stubborn for their own good. I also found myself torn between loving and hating the love interest in the book-Devon. I just didn't understand what Lila saw in him or why everyone loved him so much...but this is Urban Fantasy and romance is always secondary and slow to build, so I can't wait to see how it plays out! 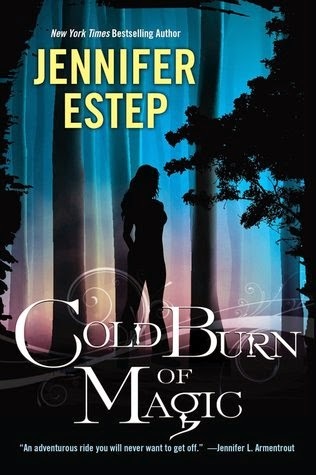 All in all Estep has created another fantastical world that I can't wait to lose myself in. I can't wait for the next book.